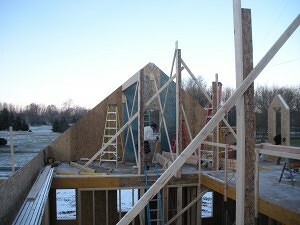 Today began the prep to set the roof panels. 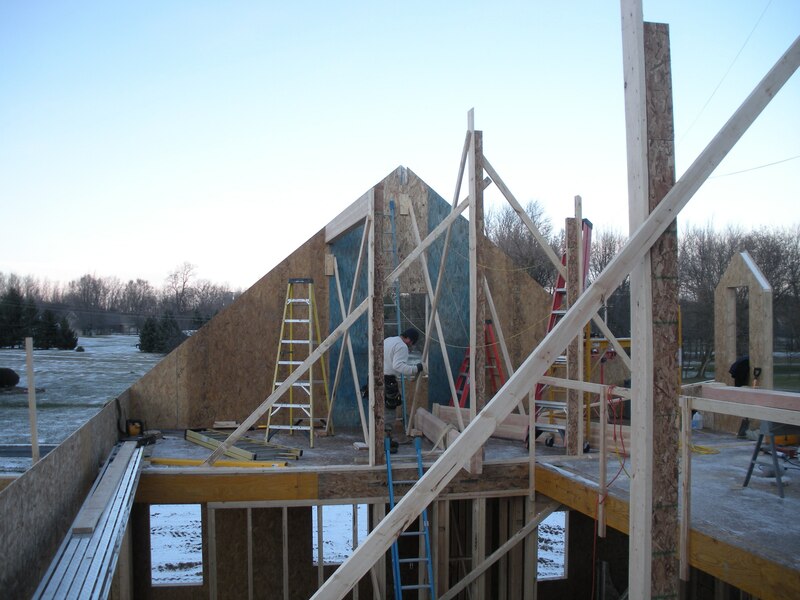 What was a large stack of roof panels had to be staged and 2×10 lumber glued and nailed in the edge. The stacks of panels turned into something that covered most of what will be our front yard. 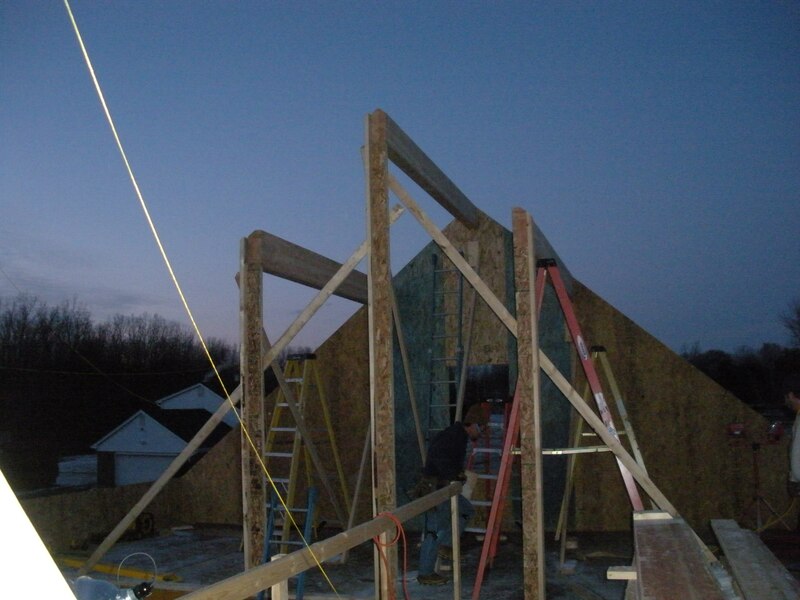 There are three large glue-lam beams that carry the weight of the roof. There are posts that hold up these beams on each floor and are aligned over each other all the way down to the basement. 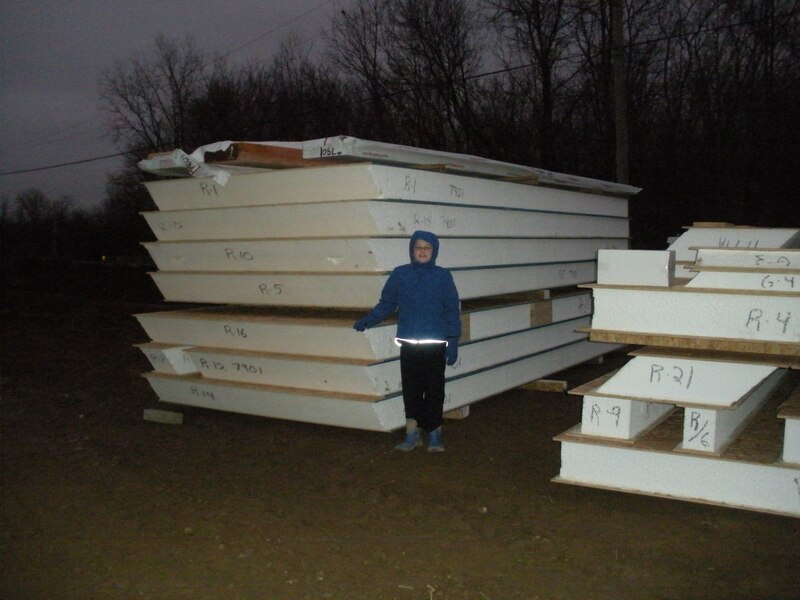 The basement floor is extra thick (12″ I think) with re-bar to carry this load. 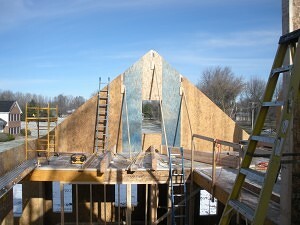 The first picture below shows the beam pockets in the exterior walls and the glue-lam beams setting on the deck. If you notice in the next picture the posts are setting right over triple 2×6’s. 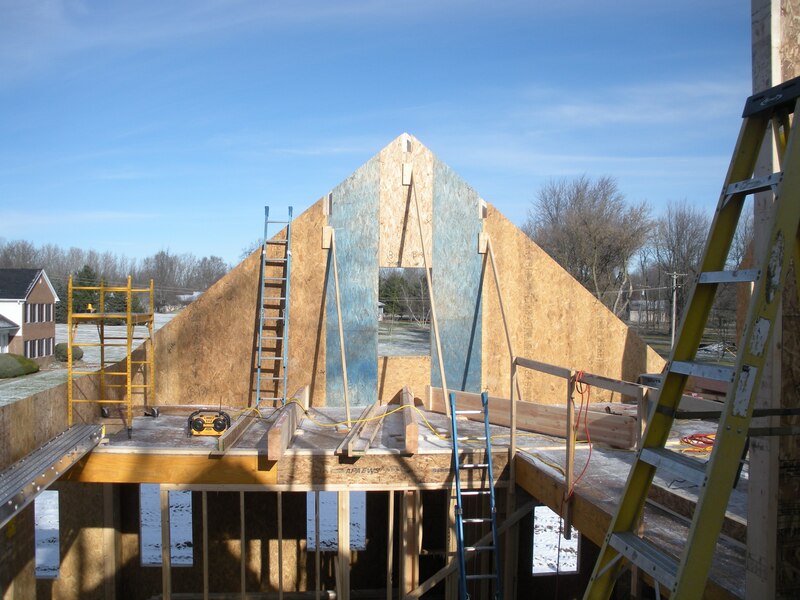 The post on the right is over the first floor doorway to the dining room, so it has to have a large header over the doorway. 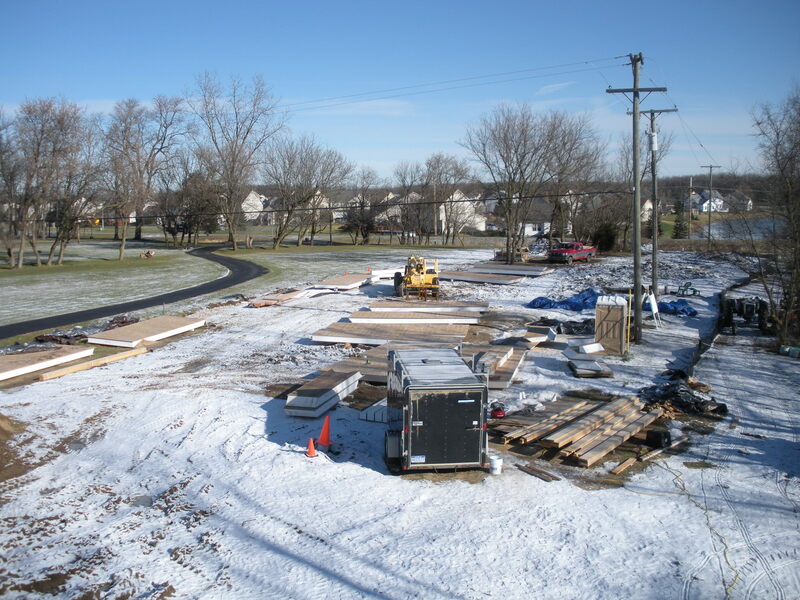 Finally we see the beams set in the beam pockets and setting on the posts. 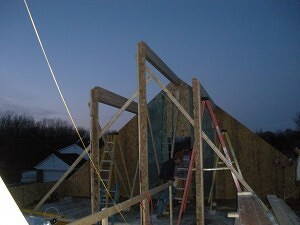 Tomorrow there will be more prep work on the roof panels and the beams to set on the other end of the house. A large crane will be coming in on Friday to lift the beams for the center of the house and all the roof panels .